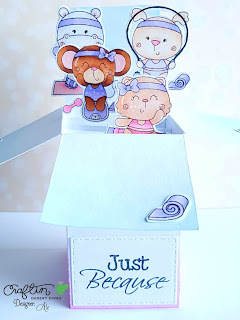 Today I have a very quick post to share with you using the challenge image from Gerda Steiner designs . I colored this cute image using Spectrum Noir Markers and then fussy cut it! The heart is from My favorite things and I inked using Worn Lipstick and Shaded Lilac Distress inks and then using foam tape I adhered to the panel. 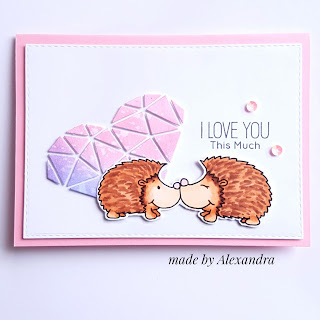 The sentiment is also from My favorite things Happy hedgehogs and to finish the card I added some Craftin Desert Divas sequins! I cut the score lines , so when the box is open you can bend them and see what is inside the card . For the inside I used stripes of cardstock which are 1 cm tall and 9 cm long and I scored at 1,5 cm and 6 cm . Then I glued the ends inside the box. The images are from Craftín Desert Divas and I colord them using Spectrum Noir Alcohol Markers. 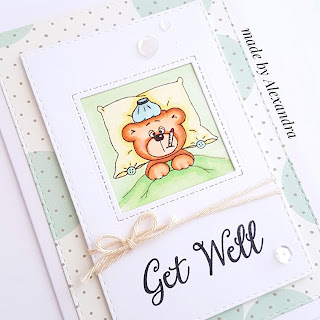 The colors for this card are inspired by the monthly challenge from Craftin Desert divas. Thank you so much for stopping by! Have a great day! To start I inked my panel using Distress inks also the fence and the grass. The cute critters are colored using Spectrum Noir Alcohol Markers and for the balloons I added a bit of Glossy Accents. Stamp the sentiment adhered everything down to my card base using foam tape for a bit of interest and my card was done! I started by inking the background using Distress inks and the I die cut the trees and the grass from Outdoor landscape 2 dies which I also inked with Distress inks. 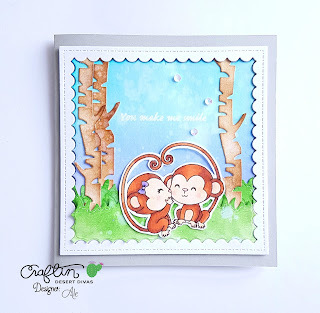 For the sentiment I used ''You make me smile '' from Hello you stamp set and embossed using white embossing powder. 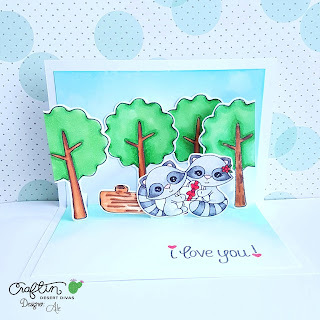 I wanted to share with you a card that I made for my first daily post at Craftin Desert Divas blog ! 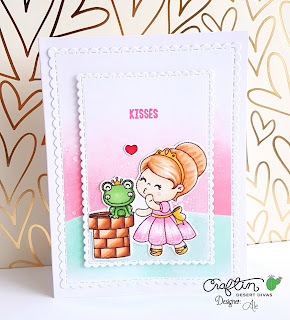 For my card I used one of the newest digital stamps from Craftin Desert Divas - Princess kissing a frog which I colored using Spectrum Noir Alcohol Markers ! For the background I used Fancy frames dies and used 2 different sizes, which I inked using Distress inks. For more details you can check the blog post on Gerda Steiner Designs blog. First of all I need to tell you that I am totally obsessed with this Fancy Frame dies and I use them almost to all my cards :) For the background I took a piece of watercolor paper and scribbled on a piece of acetate some Stabilo markers and created a watercolor background. 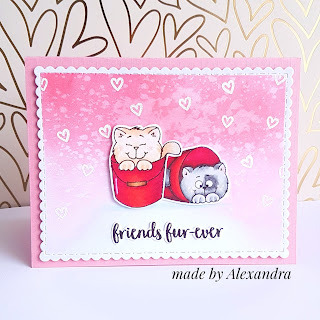 When was dry I stamped the cute paws from Panda pals stamp set with Versa mark ink and embossed using white embossing powder. 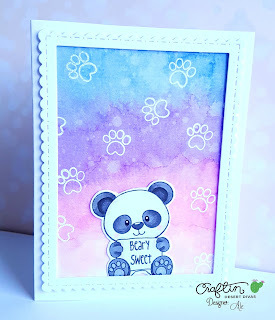 The cute panda and the sentiment are from the same stamp set Panda pals and is colord using Spectrum Noir Alcohol Markers. 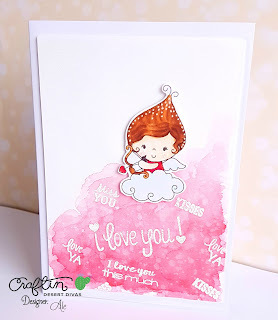 The Cupid in Clouds is colored using Spectrum Noir Markers and the background watercolored using Distress inks : Candid Apple and Worn Lipstick The sentiments I used are from Craftin Desert Divas Say it big and Panda Pals . Thank you so much for stopping by! Have a great day ! So happy to share with you that I am starting another series on my blog and YouTube channel featuring Valentines day cards. 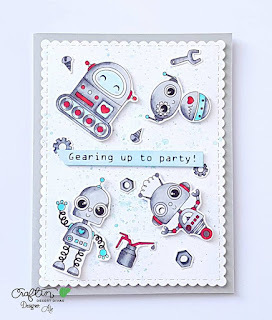 I used this absolute adorable digi stamps from Craftin Desert Divas to create a pop up card. Thank you so much for stopping by! 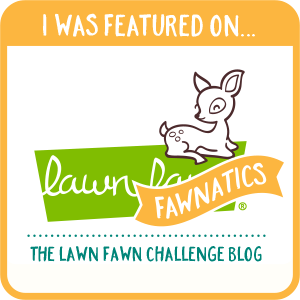 For more info about the card visit Gerda's blog ! I am guest designing over at Gerda Steiner Designs and I wanted to share a card that I made using the December / January digital bundle stamp from Gerda Steiner Designs. I hope you all had amazing holidays and i also wanted to wish you Happy New Year! I am guest designing for the new Challenge on Create a smile blog which is ''Cute''. And here is my card for the challenge . 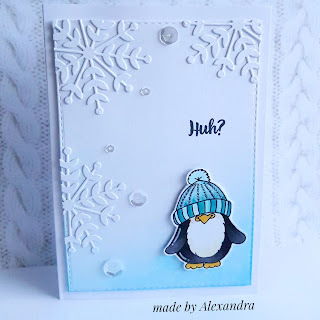 To start i stamped the Snow Flurry background from Create a smile using Versa Mark and embossed using WOW white embossing powder. Then i used Stabilo markers to create a watercolor background. The cute snowman is from the Cool Buddies stamp set and i colored it using Spectrum Noir Markers. 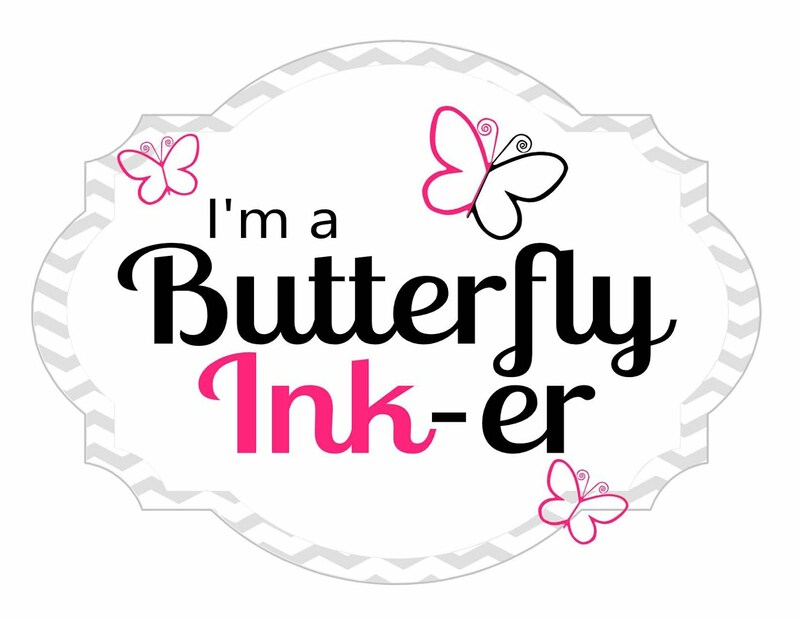 The sentiment is also from the same stamp set and is embossed using Simon Says Stamp embossing powder. For the tree border i used Lawn Fawn - Forest Border die cut .